Have a coffee lover you need to celebrate this year? These coffee lover gift ideas are the perfect coffee gifts for mom! 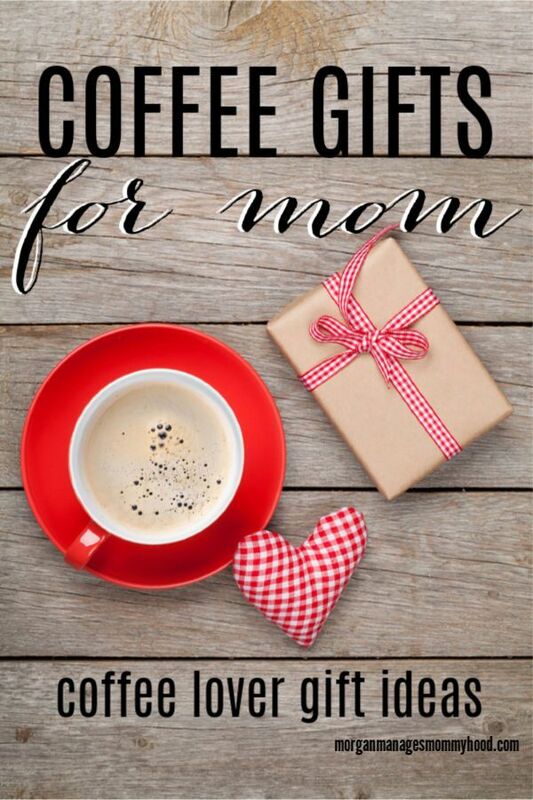 Give the momma in your life the ultimate gift every mom needs – the gift of caffeine! If there’s one this every momma can agree on, it’s that we’re a tired crew. Late nights, early mornings, constant noise and mess, little humans that require you to help keep them alive (no matter the age – let’s be real) – it can all be exhausting. There’s a reason that moms flock to their morning cup. That being said, if you know a momma who is a coffee addict, I am your new friend. 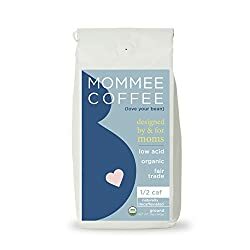 Today I’m sharing a list of coffee-themed gifts to give mom, because nothing says, “I understand you” more to a mom that the gift of coffee. 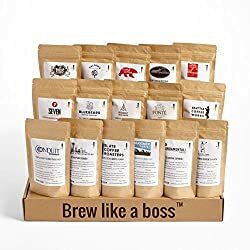 If you’re in search for some coffee gifts for mom to spoiler her with this year, these are coffee lover gift ideas are ones any self-respecting coffee lover would appreciate! this post was originally written April 3, 2017 and has since been updated. Because you need somewhere cute to keep the goods, am I right? Make sure you grab something air-tight to store your beans or grounds. This is actually the one I have and it’s done me well. It’s relatively inexpensive and has the best reviews on Amazon. 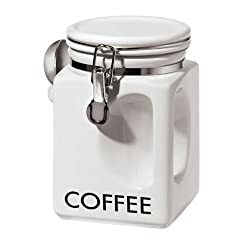 It’s perfect if you just want to make a cup or two but don’t have the space for a coffee maker. Is the mom in your life a coffee connoisseur? Help her find new favorites by giving her a coffee sampler gift pack! A Fun Mug to lighten up rough mornings. I don’t claim to be a collector of anything, but if I did, it would be of mugs. 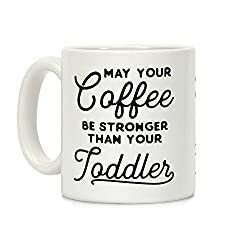 I’m DYING over this adorable one that portrays every coffee loving, toddler chasing mom’s hope. I’ve never tried a pour over myself, but I love the concept since I’m usually the only one drinking in my house. I love that you don’t need to mess around with filters and can do it right into your mug – AKA less dishes! 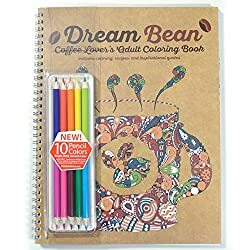 For the momma who wants to bring a little creativity to her cup of joe – I love that this one comes with colored pencils! Coloring books for adults are trendy, yes, but there is also proof that coloring is relaxing and can calm you down – what mama doesn’t need that? I’ve seen super cute hand stamped version of spoons like this on Etsy before, but this one is laser printed and a bit cheaper than I’ve seen elsewhere. Any momma knows that kicking back and relaxing as a mom has to be done carefully – bring attention to it and your kids will notice, ending your time of peace. These socks are a silent cry of assistance. Does the momma in your life have a Keurig? Rather than dumping $$$ on K-cups, get her these simple refillable ones! Props for having extras so she can enjoy more than one cup without worrying about dishes. I’m DYING for this since I’m a latte fiend. Grab one of these mini espresso makers for way less than one of those crazy coffee stations. Plus, it won’t take up a ton of counter space! 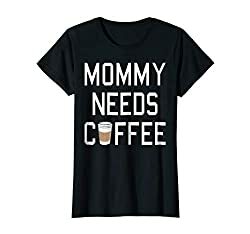 Because you need to let the world know that you are a momma and you need your coffee, regardless of the hour. I’m a huge face of fun graphic tees and would totally add this to my regular rotation! A dedicated Coffee Grinder so her coffee doesn’t taste like spices. With whole beans comes great responsibility. 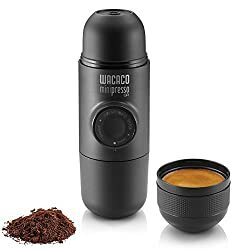 To be totally honest, I’ve used my food processor to grind beans more than I’d like to admit, but a coffee/spice grinder is what normal human beings use. Just make sure you have a separate coffee and spice grinder!! 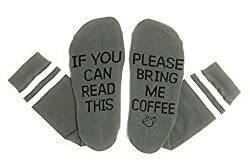 While these gifts for coffee lovers are awesome, there are definitely more fun coffee gifts for mom that are more basic. Pretty storage for k cups. Okay, so tell me – what are your favorite gifts to give mom? Let me know in the comments! oh man I love these! I hope people shower me with coffee when I get home from the hospital haha! We just moved last week and I bought a bigger coffee pot because I only had a mini-keurig that did single servings. I know we’ll be amping up the coffee intake in the coming months!